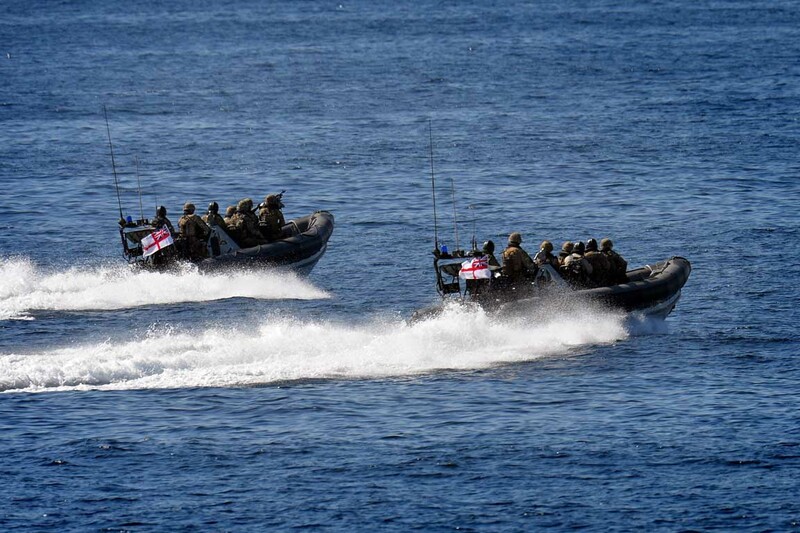 Royal Navy warship HMS Kent has been providing support to the 30 nation Combined Maritime Forces, conducting maritime security and counter-terrorism patrols in the Arabian Sea, Gulf of Oman, Gulf of Aden and off the Horn of Africa. The Type 23 frigate sailed from the UK in October 2014, arriving in the Middle East in November 2014. She joined Canadian-led Combined Task Force 150 in January, conducting maritime security operations and counter-terrorism patrols aimed at deterring and denying criminals from using the seas to smuggle weapons, illicit cargo and narcotics while ensuring the safe passage of merchant vessels in some of the busiest shipping lanes in the world. 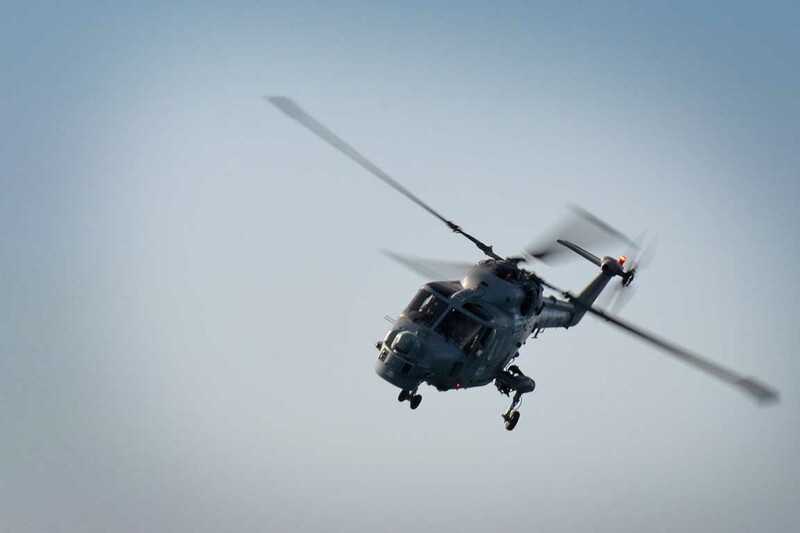 Using her Lynx helicopter and Scan Eagle Unmanned Arial Vehicle, together with specialist intelligence operatives onboard, the warship put her state of the art equipment to good use, scouring thousands of square miles of ocean for suspicious vessels. Although HMS Kent was built originally to conduct anti-submarine operations, her Ship’s Company quickly adapted their detective skills to locate potential smugglers. In just three days, they located three dhows of particular interest in an area the size of Europe amongst hundreds of small vessels. 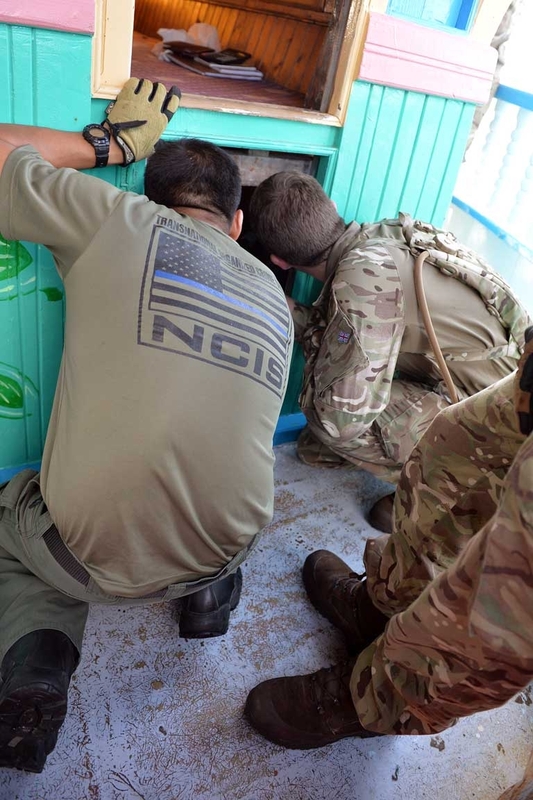 With eyes in the sky provided by the Lynx and the Scan Eagle, members of the Royal Navy boarding team, accompanied by a liaison officer from the US Naval Criminal Investigation Service, protected by a detachment of the ship’s Royal Marines, successfully boarded two of the suspicious vessels. On both occasions, the boarding teams conducted an extensive search of the boat while other members of the team verified their credentials. 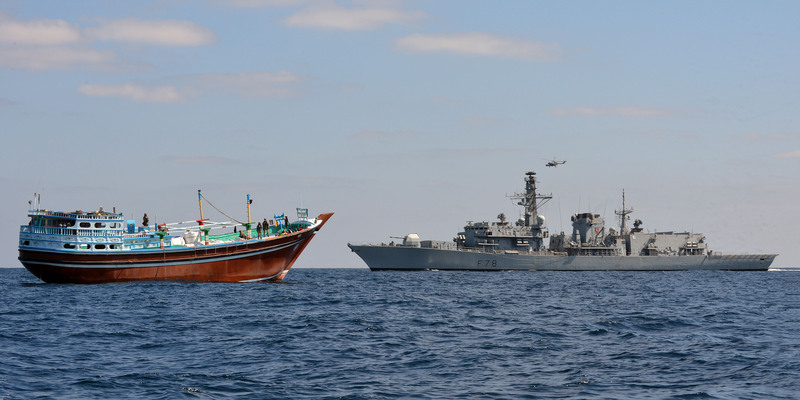 Having ensured that the dhows were not ferrying illicit materials, the Type 23 frigate let the boats go on their way. 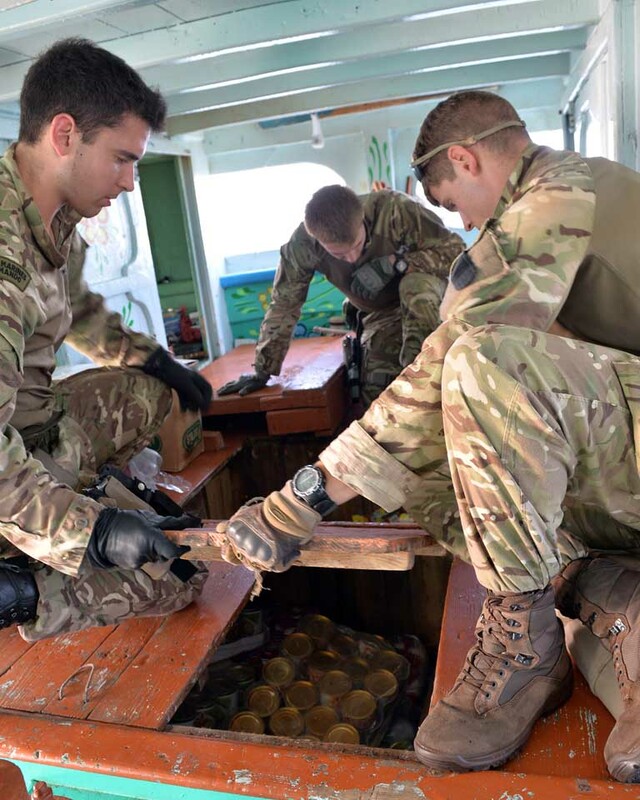 HMS Kent continues supporting the international campaign to ensure the safety and stability of some of the most frequented commercial shipping lanes in a region that includes three of the world’s six maritime chokepoints.